What is the purpose of the rubber base 4 post plastic chain kit? 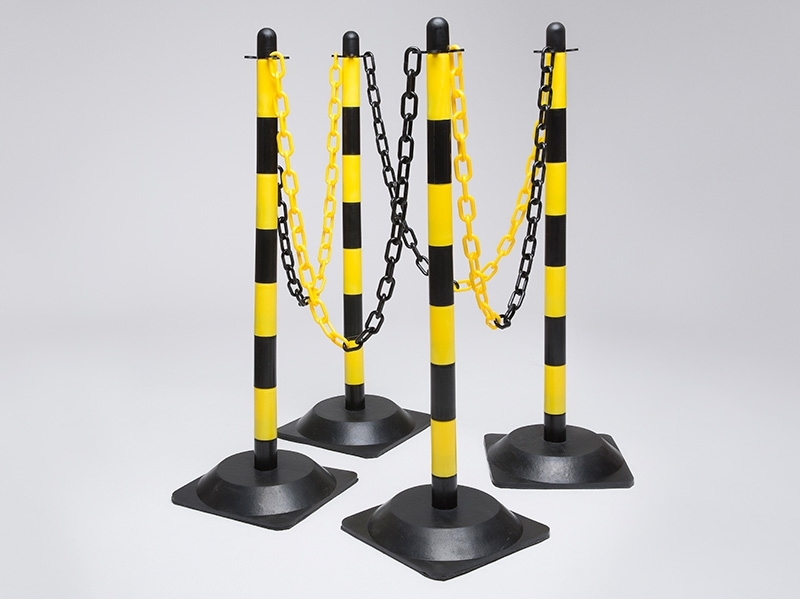 Built to be durable yet easy to use, the rubber base 4 post plastic chain kit is a utility item that may be utilised to allow for traffic direction within a small area outside. The rugged construction and the durable material make it suited for use outdoors, and the colour scheme of black and yellow makes it visible on any sort of backdrop. 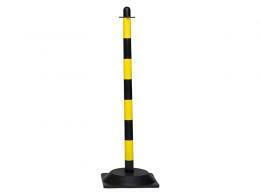 The plastic construction also goes to greater lengths to ensure that vehicles bumping into the posts aren't damaged. The most common area to find these plastic post kits are outside in parking lot areas where the direction of traffic or the delineation of parking positions is necessary. The posts are easy to carry about and install, making it a simple process to put them in the correct location. The bright contrasting colours add to the visibility of the posts and are very important for drivers who need to gauge the distance to the posts while parking. Who might use this plastic chain kit? Most businesses that have an outdoor parking area may utilise this kit to aid with their parking. In order to fully utilise the size of their parking lot, businesses are better off setting up these post kits in locations that maximise the number of people parking there. 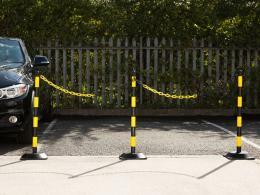 Ideally, the post kits can accommodate a single car in a single space, but longer chains and more kits may be needed to expand the area in which parking is allowed. 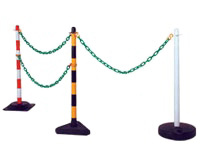 The rubber base 4 post plastic chain kit ships with 6m of chain that is divided up into lengths of 2m, all with their own s-hooks and connectors for easy installation. The bases are low-profile and designed to limit tripping by pedestrians. The plastic is of the highest quality and the chain sets can be used in areas where expansion may be expected since all it takes to expand the kit is the purchasing of more kits.